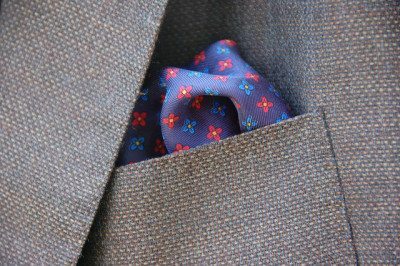 Pocket squares come in a variety of colors and patterns. These are appropriate to most ensembles, and should be chosen to contrast with the shirt and tie while still being set off against the color of the jacket. 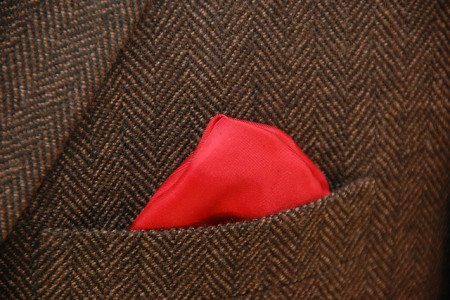 What one should look for in a pocket square is coordinated contrast. That is to say, a combination of pattern and fabric that is different than the suit, shirt, and tie, but not so unlike as to clash. 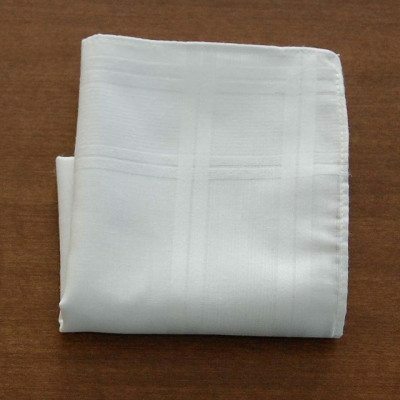 Perhaps the most classic dress handkerchief is the solid white square, made of linen or cotton. Depending on the chosen fold, it may be lightly starched to provide body. The white square is acceptable for almost any ensemble but looks particularly good with dark, conservative suits where its crisp clean appearance is most pronounced. Silk squares are what a gentleman is most likely to encounter in the department store; many have dozens of options on display. These handkerchiefs come in nearly every color and pattern imaginable, and offer far more opportunity to make a bold and distinctive statement. 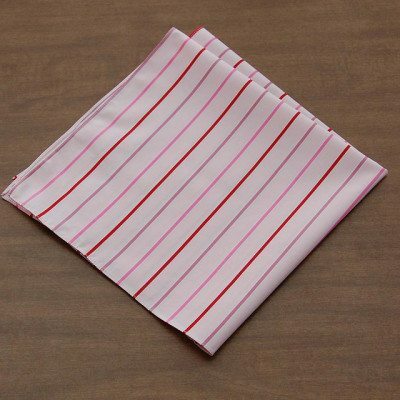 By the same token, these are also the handkerchiefs that produce much of the stress associated with wearing a square, as the variety of colors and patterns presents what can seem a daunting choice. One particular detail to note when choosing a silk square are hand-rolled edges; these are a sign of quality and attention to detail and should be present on a well-made square. Remember when selecting the type of fabric for a dress handkerchief, the fabric of the jacket and tie should be considered. Mix silk squares with heavier tie fabrics, and more textured handkerchiefs with smooth ties is an excellent way to add contrast, while silk squares against a rough jacket like tweed is particularly distinctive. Wool suits, the most common option, are equally at home with linen or silk, as are silk ties – indeed, the variety of patterns available in silk may require a silk square for some ensembles. In choosing pattern for a square, one should look to the most brightly colored or patterned item in the ensemble. In most cases, this will be the tie, though should it be the shirt, or even in some cases the suit itself, that element should be given focus. 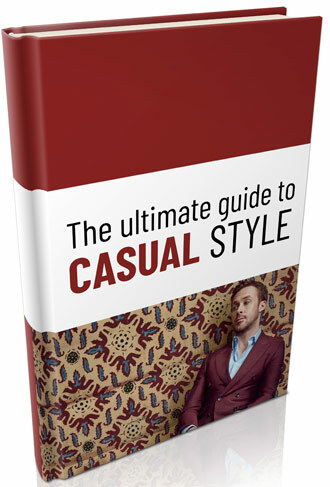 One has nearly every color and pattern to choose from, though this will obviously be constrained by the examples available in ones wardrobe. With solid ensembles, patterns are particularly distinctive, and while solid squares may seem a safer choice for patterned ties, a contrasting patterned square provides a very elegant look. As for color, it’s best to determine the base color for whatever item is being matched then opt for a complementing color. Also, it is best not to match the square directly to a prominent color; instead, match it to a secondary color as an accent. As with everything else in classic style, the choice of color should also be mindful of the occasion; though it is only a few inches of visible material, a boldly colored square might well be out of place at a funeral or wedding.